Sailing in Italy "The Tuscan Archipelago"
Would anyone like to try sailing. Let's form an InterNations Sailing Crew! Who is interested to come and join a sailing adventure from April 27th for one week in the Italian Mediterranean from Tuscany? Let's not only enjoy the sea but also great Italian food and wine. 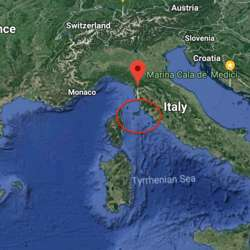 We would sail from Marina Cala De Medici, Rosignano, Tuscany and visit the islands of Capraia and Elba, off the Tuscan coast. This will be sailing in a fun flotilla group as part of the "Sail Charter International Spring Sailing in Italy Flotilla". We could have up to 8 people on a 5 cabin boat with a skipper - you don't have to be able to sail. Come along for the experience and the fun! Lie back and enjoy or learn as you want! It would be great if we could get 8 people for 1 yacht or up to 16 for 2 InterNations yachts. Click on the link Protected content for more general information, but to show interest message me through InterNations or via phone number (below). The boat is almost full. However, last minute attendees are welcome to sign up and join the crew. Please write me a message and check with me before registration. Our Internations boat is part of the Flotilla fleet consisting of a total 10 boats currently. The people on the other boats are also from all over the world. Thus this flotilla is completely international and I am sure everyone will be having a good time!